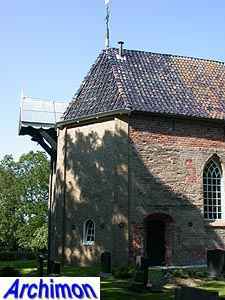 The church of Wetsens was built on an artificial hill of which only a small part remains. It's a towerless, one-aisled building in Romanesque style, mostly built of tuff but with repairs carried out using bricks. 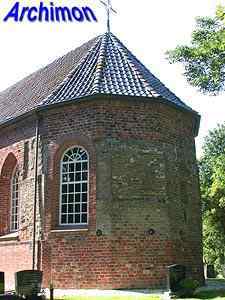 The choir, which is is five-sided on the outside and semi-circular inside, was built in the first half of the 12th century. The nave followed in the second half of that century and was covered with two vaults in the 13th century. 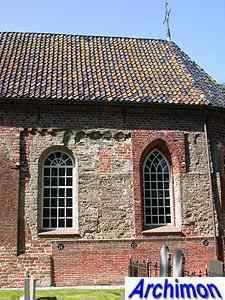 When the church was heightened in brick in the early 16th century, the vaults were removed and the roof replaced. 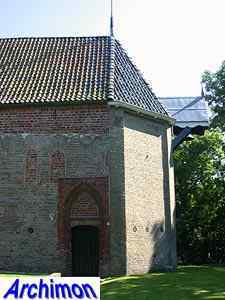 In the same period the late-Gothic portal was added to the north side. 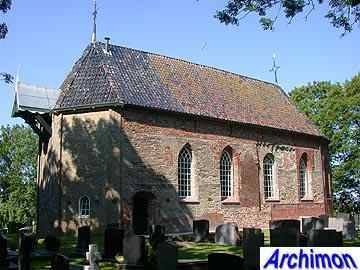 After the Reformation of 1580 the church became protestant. 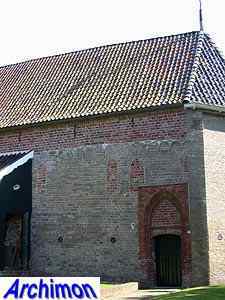 In c.1640 the small windows in the north wall were closed while large ones were added to the south wall. 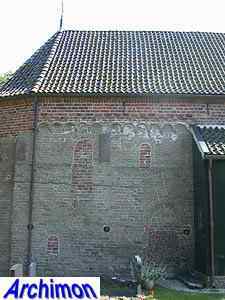 Two chapels, one on either side of the nave, were removed in the same period. 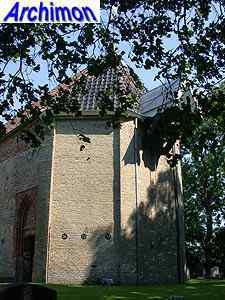 Old pictures of the church show a saddle-roof tower. 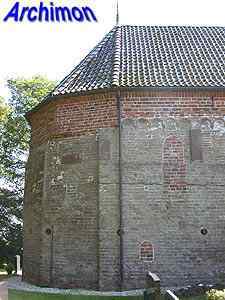 This tower either collapsed or was torn down in 1841 or 1842 and was not rebuilt. 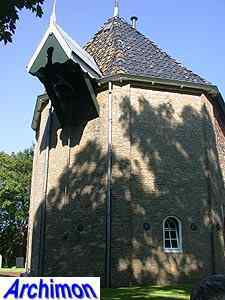 Instead the current three-part closure was built, with a bell-cot replacing the tower. 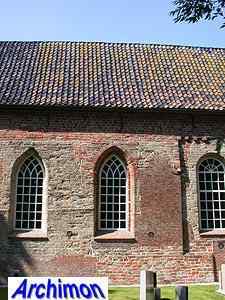 When the church was restored in 1973-1974 the Romanesque windows remained closed. 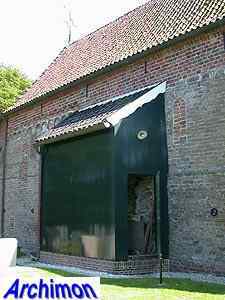 On the north side a shed was built on the spot where the chapel had been.